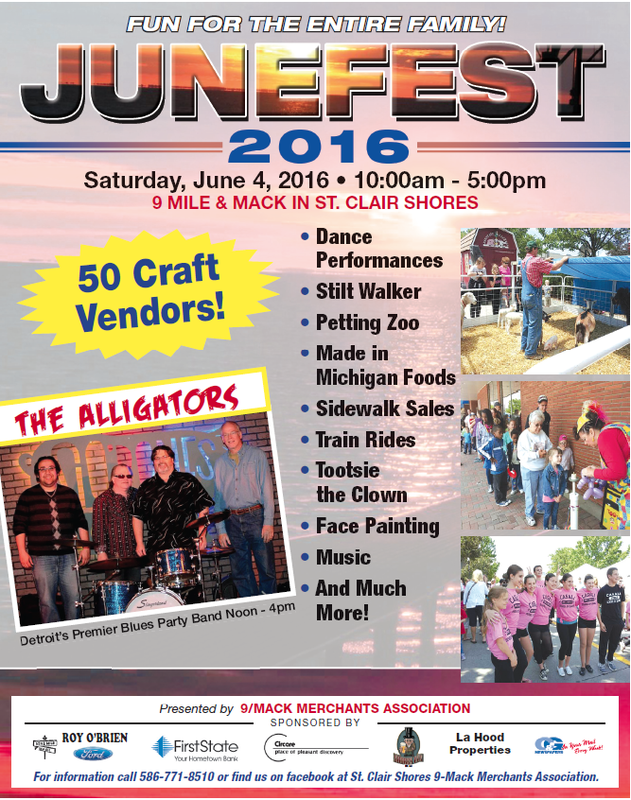 9 Mile and Mack's Annual June Fest is just a few weeks away! There will be tons of attractions, and something for everyone. Clowns, a Made in Michigan Food Court, train rides, dance performances, a petting zoo and much more. Help us welcome in June on Saturday, June 4th from 10:00 a.m. - 5:00 p.m, rain or shine. Detroit's premier blues party band, The Alligators, will be performing from noon - 4p.m. See you there!